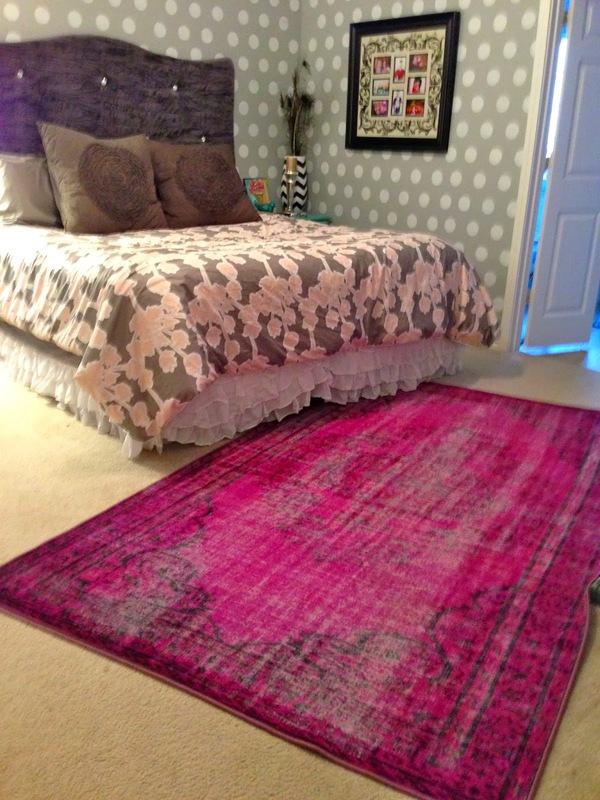 I've talked about my serious rug obsession before, I have one in just about every single room of my house! The one that really drives me batty though is the one in my bedroom. It NEVER stays straight! Pretty much every single day I would have to bend down and straighten it out, which is getting less and less fun now that I'm pregnant. I guess it doesn't bother Oliver because he NEVER straightens it! I guess the people at Rug Pad USA could feel my pain and they contacted me to do a review. Uh, YES YES YES. I told them my rug size and where I was having the issue and they cut the perfect pad to size and shipped it super fast. It's honestly so nice not to have to fix that darn thing everyday, wish I would of thought to get a rug pad sooner! You may notice the rooms carpet is different from the first picture, poor Twilight Sparkle had the flu and threw up red fruit punch all over my carpet. I couldn't get the stain out so I talked Oliver into replacing all the carpet in the house. We will be celebrating 10 years living here in March so I'd say it was time anyways :) That theory worked for him. ha ha. 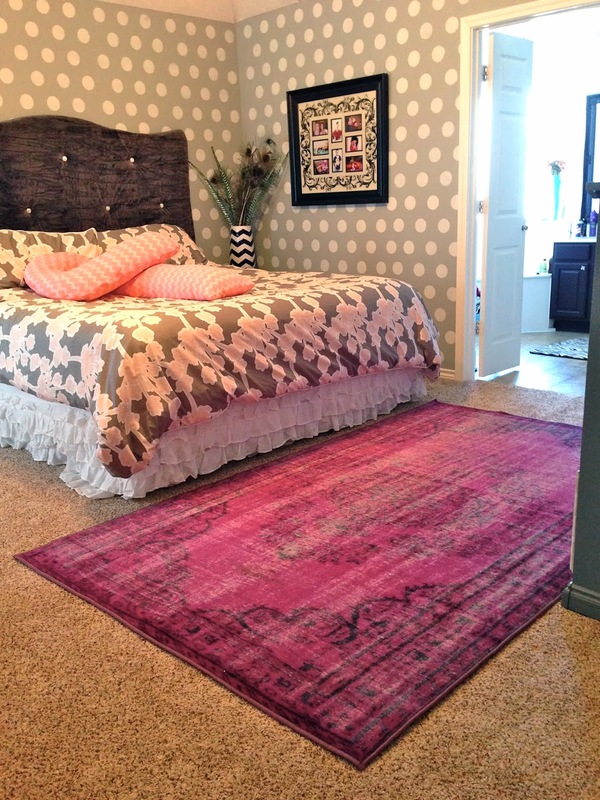 I highly recommend Rug Pad USA, they have pads for any type of flooring, carpet, laminate, wood, concrete. They also have different thicknesses which is nice, I didn't realize how thin my carpet was, but it's nice with a little cush now. Where did the top right one come from?? LOVE IT! Oh my goodness, I need this! The rug in our living room doesn't stay put for one afternoon! It drives me NUTS! Fix the rug, fix the rug, fix the rug is all I do. I will be looking into this! Thanks! LOVE LOVE LOVE rugs, but I got two fur babies, so if they aren't going tinkle on it, bazillions of pounds of dog hair get jammed in there. So no rugs :( But I will live vicariously thru you! Where is your dust ruffle from? 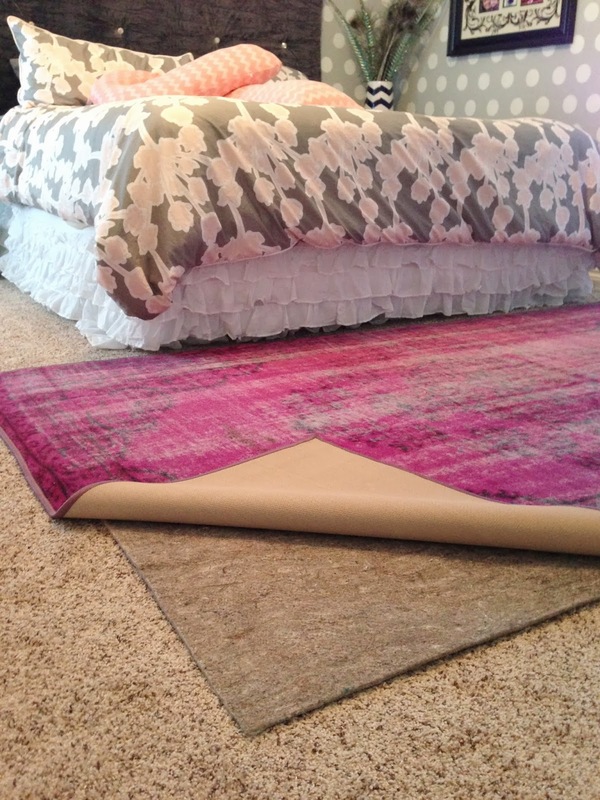 I am in need of one for my daughter's daybed and I love the ruffly one on your bed! Definitely need to check out this place for our new house. Loving the new carpet and that blue rug! Gorgeous! I LOVE the rug in the first picture, bottom left! Also - the polka dot walls are too die for!